TLT-Turbo GmbH is one of the world’s leading manufacturers of technology-driven industrial fans and ventilation systems. Through our products, we are able to respond to the challenges presented by your projects. 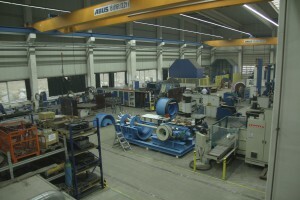 TLT-Turbo GmbH develops and builds radial and axial flow fans, wind tunnels and tunnel ventilation systems. For more than 140 years, our systems have been in use in many fields all over the world – from process engineering to thermotechnical processes up to dedusting technology.